Newly redesigned processing chip and pitch calibration make for accurate tuning of any instrument. New brighter display and 360 swivel head allow tuning at all angles. 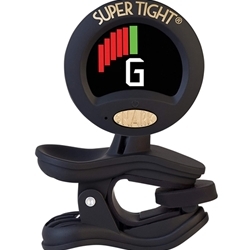 Gripped clip grabs on tight and stays in place.